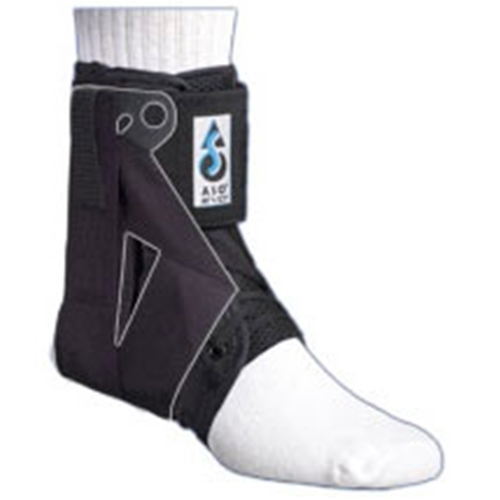 ASO EVO Speed Lacer Ankle Brace from HealthyKin.com is an evolutionary step forward in ankle protection with its unique stabilizing straps and cuffs that incorporate the three main elements of an ankle taping application: stirrups, heel lock (figure-eight) and circumferential closure. This new design enables the EVO Sped Lacer to comfortably provide exceptional ankle support and stability in the treatment of ankle injuries and to reduce the severity and frequency of future ankle injuries. The speed lace closure design offers a faster and easier application. An internal plastic cuff redirects the stirrup strap to initiate a figure-eight around the ankle and applies circumferential compression around the distal tibiofibular joint. The dynamic cuff increases the circumferential compression as the stabilizing straps begin to restrict inversion or eversion of the ankle. Stabilizing straps form a figure-eight by first crossing over the anterior region of the tibia, fibula and talus to help stabilize the talocrural joint and then crossing under the calcaneus to help stabilize the subtalar joint. The inner stirrup strap is lined with Skinloc material to better capture the calcaneus (heel) and resist inversion or eversion of the ankle. 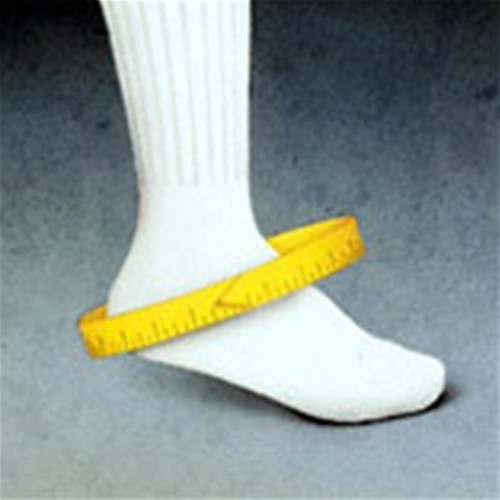 Sizing is based on ankle circumference around the heel (see image above).